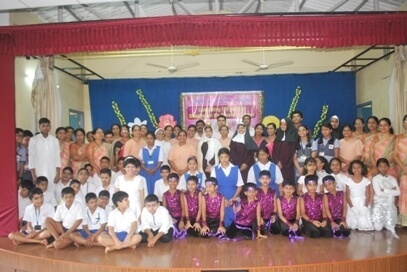 ‘Celebrations are moments that strengthen our own visions, unite our spirits and magnify our joys’. 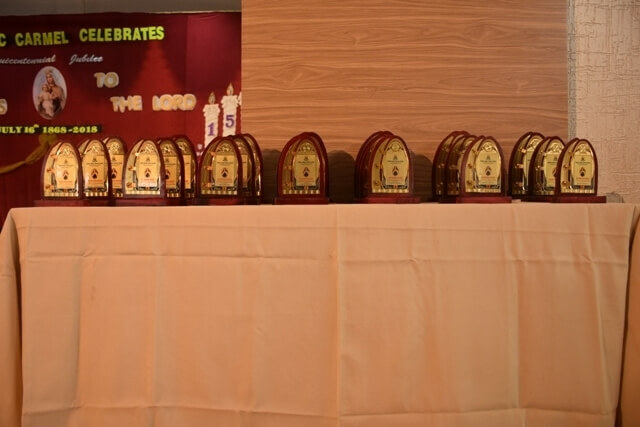 France will have 2 celebrations this weekend – one in the field of sports and the other of course most important to us i.e. 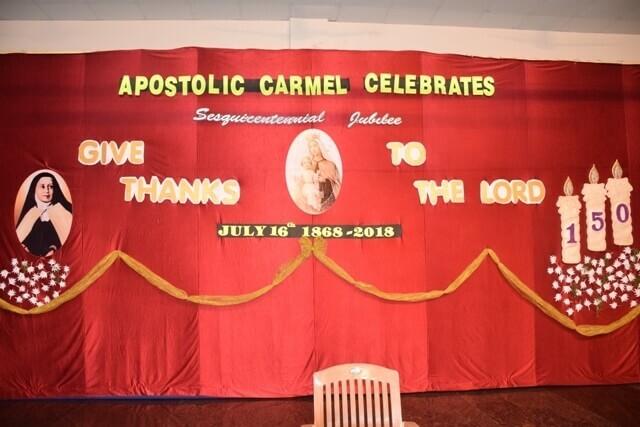 the 150 years of the foundation of the Apostolic Carmel. 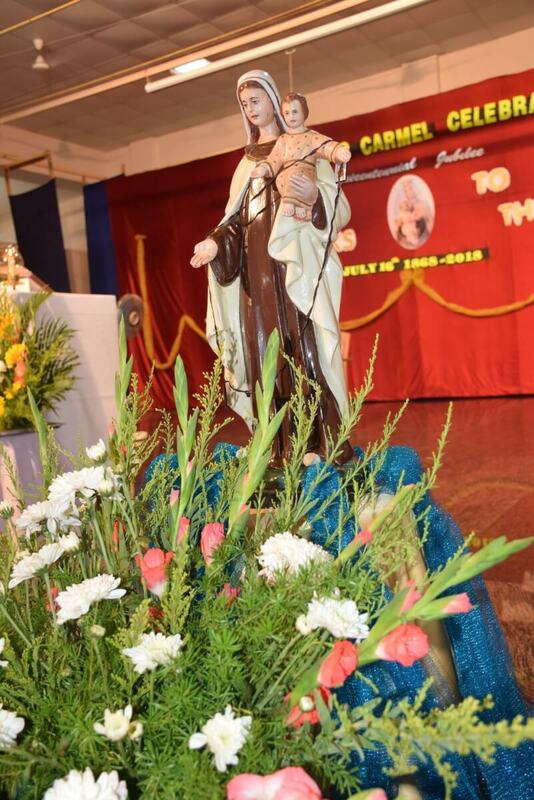 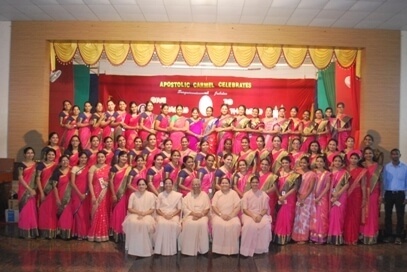 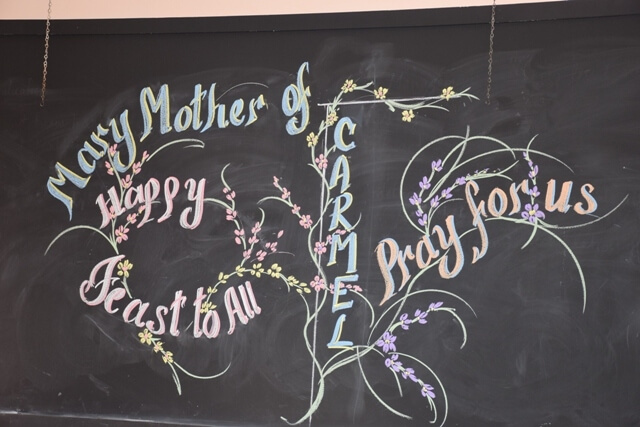 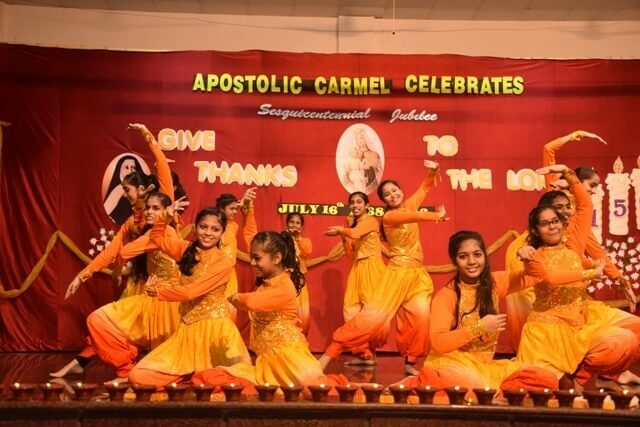 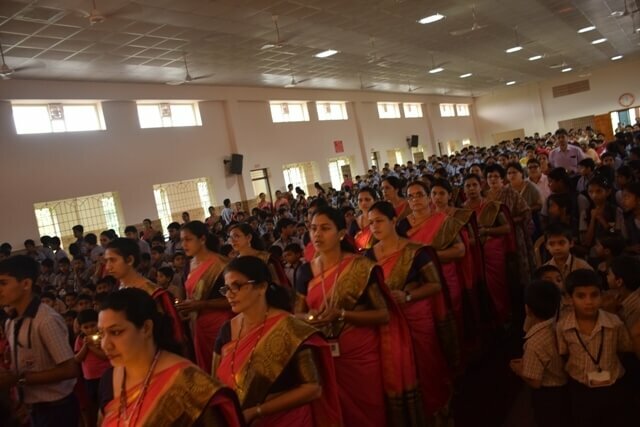 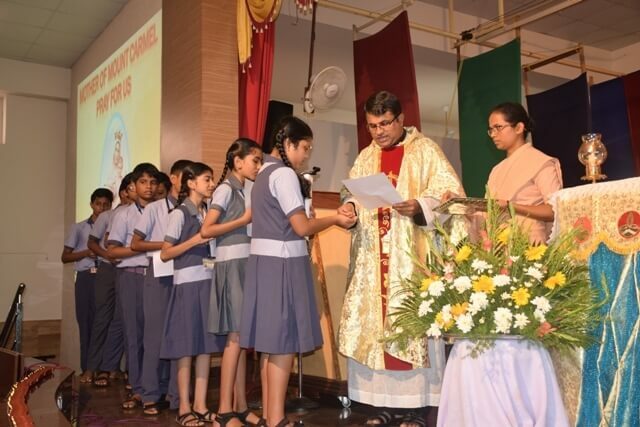 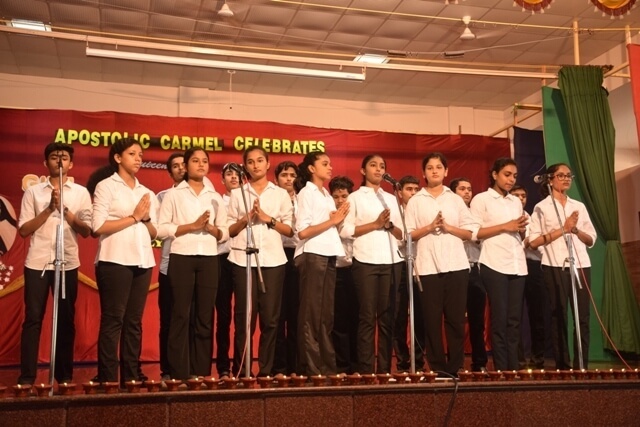 The feast of our patroness, Mother of Mount Carmel was celebrated in a befitting manner of joy, spirituality and stellar display of talents by the students. 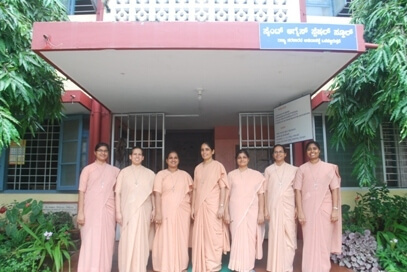 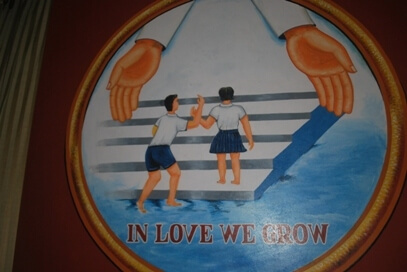 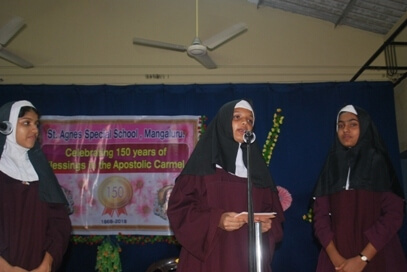 The power of prayer, silence, submission to God’s will of our patroness Mother Mary, chose Mother Veronica to sail across 7 seas 150 years ago and lay their foundation to educate and empower the girl child here in India. 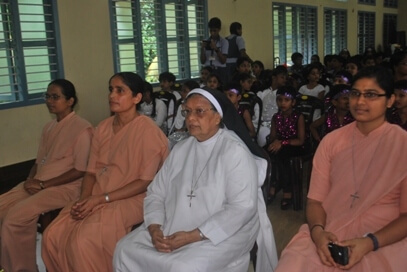 Both these noble and valiant women are worth all the praises and glorification. 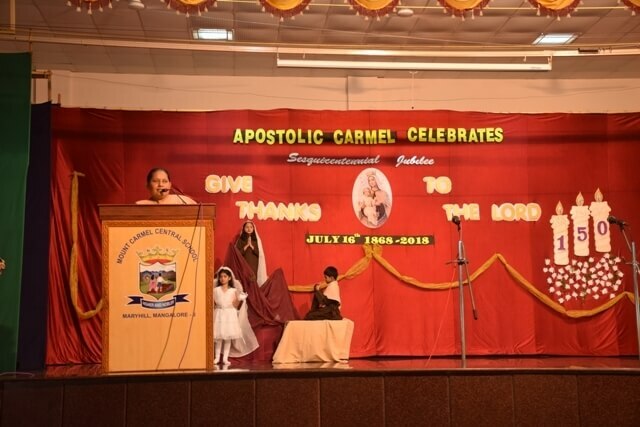 Keeping this in mind, we celebrated the feast of our Lady of Mount Carmel, July 16th and also the foundation day of the Apostolic Carmel Congregation founded by Venerable Mother Veronica in 1868 at Bayonne, France. 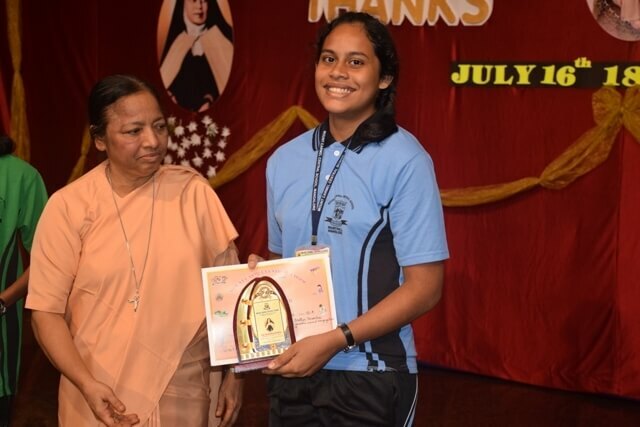 On this occasion the presence of God’s gift through our patroness Mother Mary and our Foundress Mother Veronica was acknowledged in the Holy Eucharistic Celebration. 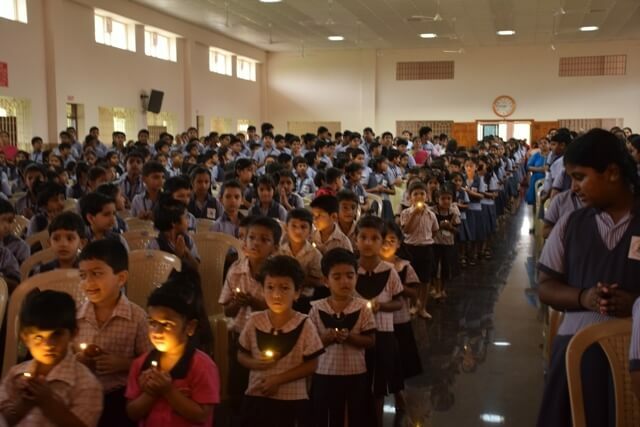 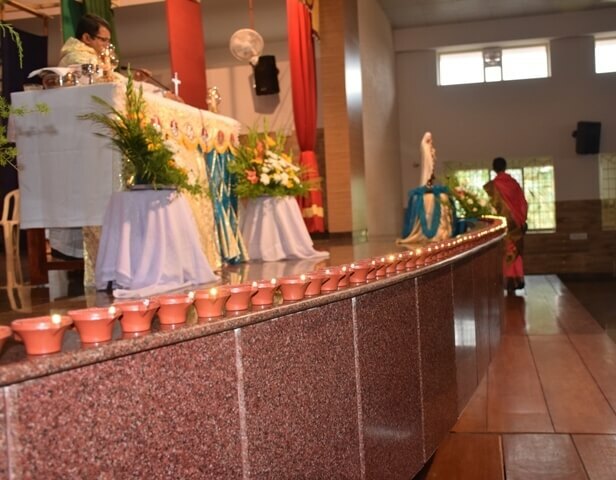 The 150 lighted candles at the entrance procession carried by the students, parents and staff signified the sesquicentennial celebrations. 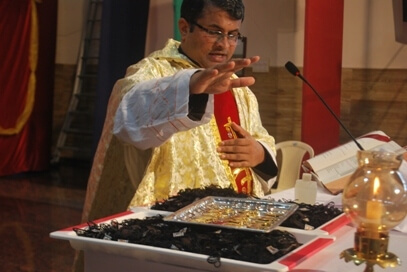 Reverend Fr. 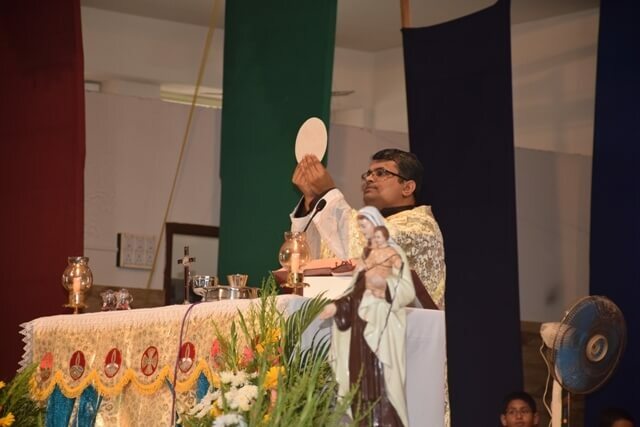 Prakash D’Cunha OCD celebrated the thanksgiving Eucharist. 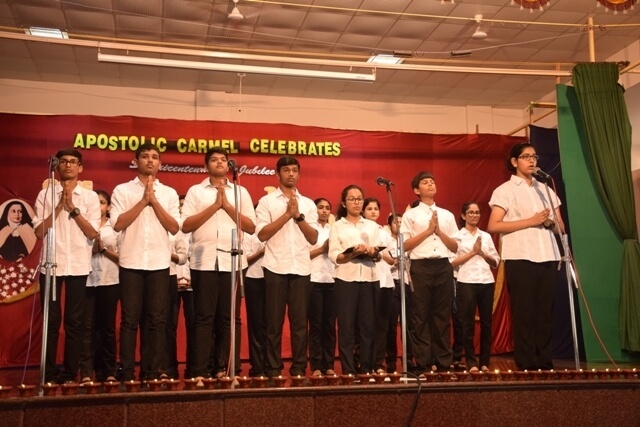 During the Mass, the ceremonious initiation of the Carmel Blossoms was also held. 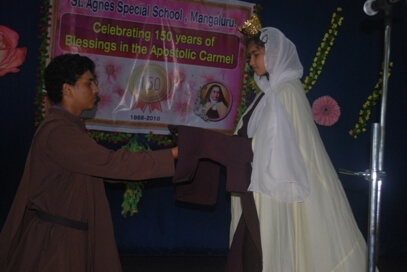 At the end of the Mass, a souvenir with a prayer to Venerable Mother Veronica and scapulars were blessed and distributed. 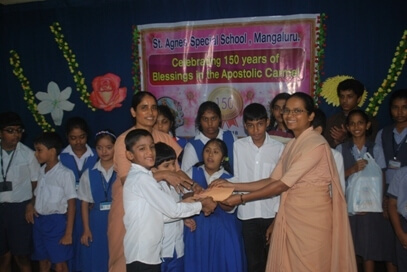 After the Mass, nearly 75 students along with a couple of teachers visited St Agnes Special School, and entertained them with skit and dance, and handed over note books and stationery to the 275 plus Differently-abled children of St Agnes Special School and also a cheque of Rs One lakh fifty thousand to the principal of St Agnes Special School Sr. Shruthi A C, towards the school children’s Mid-Day Meal Scheme. 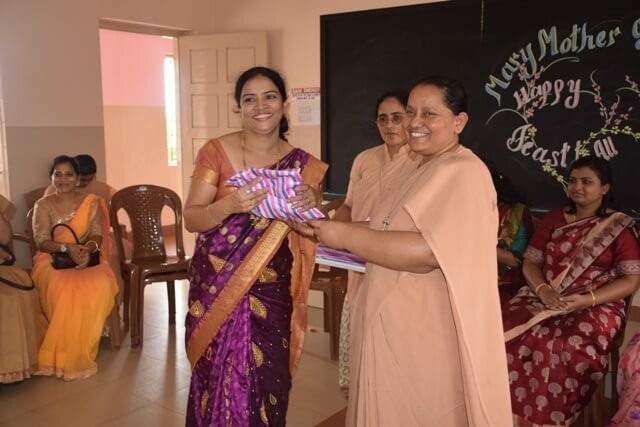 These funds were exclusively raised through cash contribution made by the teachers of our School- indeed a unique initiative taken by our dedicated and hard working teachers, and sharing part of their earnings among the less-privileged Special Children. 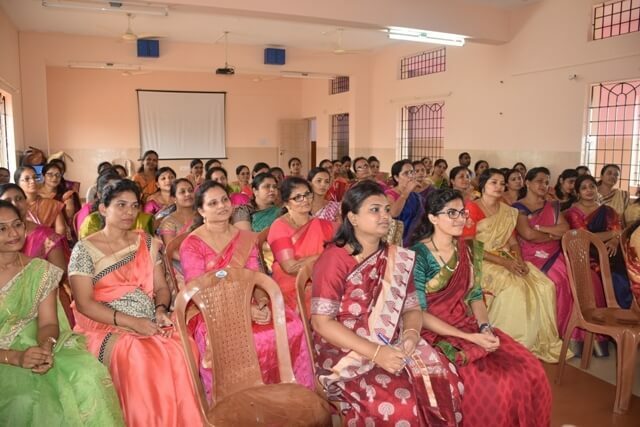 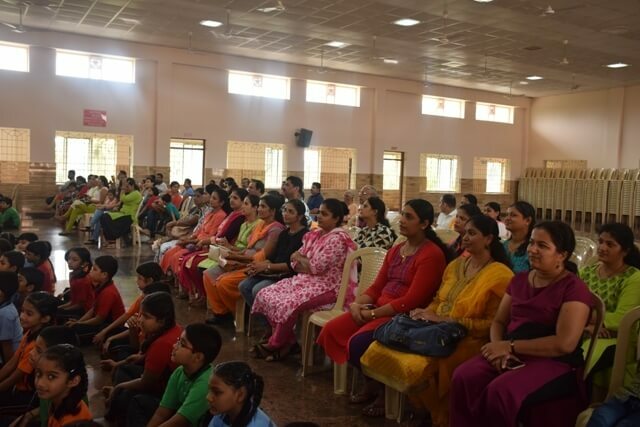 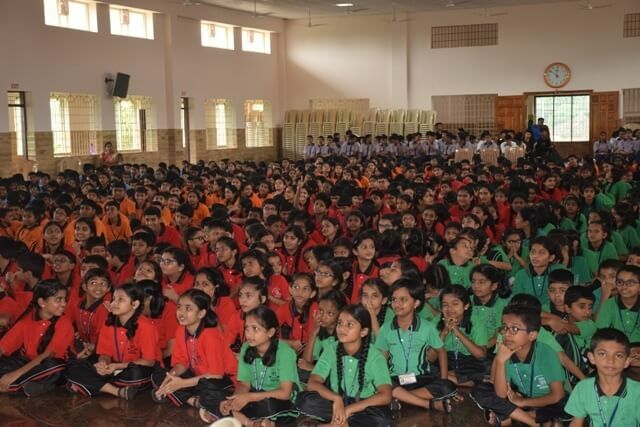 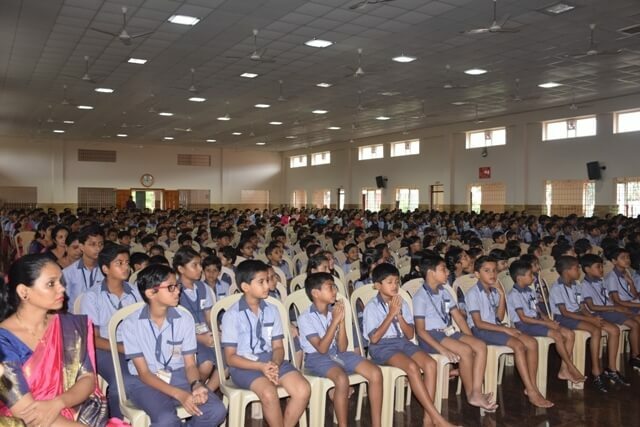 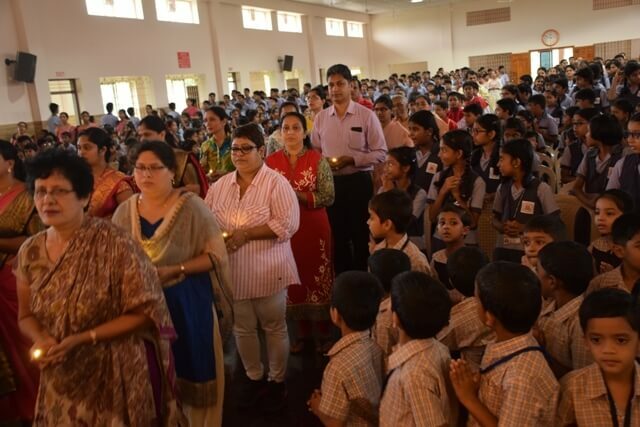 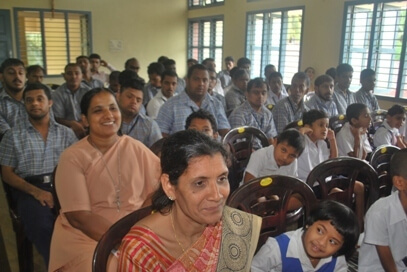 The programme at the special school began with welcome address by the principal Sr. Shruthi A C, where she highlighted the significance of the day. 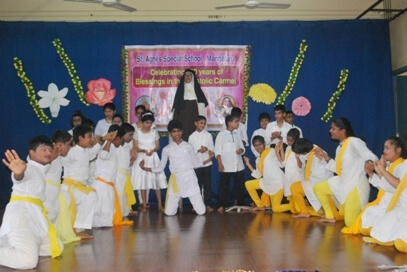 The Special School children performed a dance sequence portraying the life of Mother Veronica-the Foundress of Apostolic Carmel Congregation. 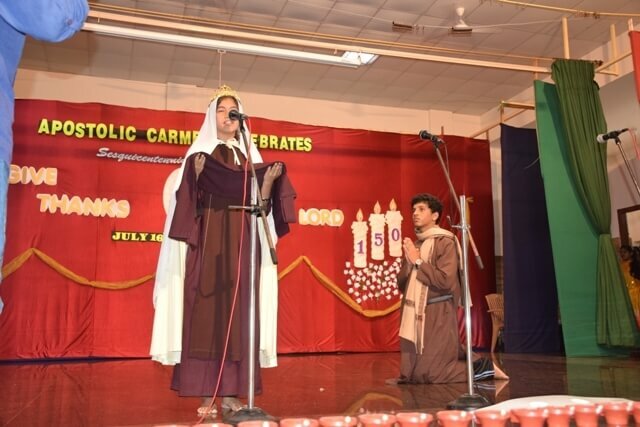 It was followed by a short skit on Mother Veronica and Our Lady of Mount Carmel and a dance and song by the “Carmel Blossoms” and Classes III and X students of MCCS. 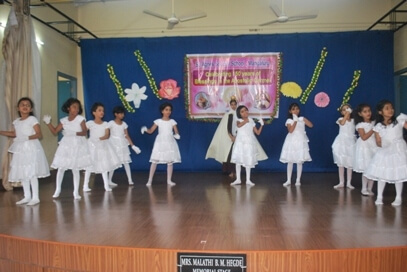 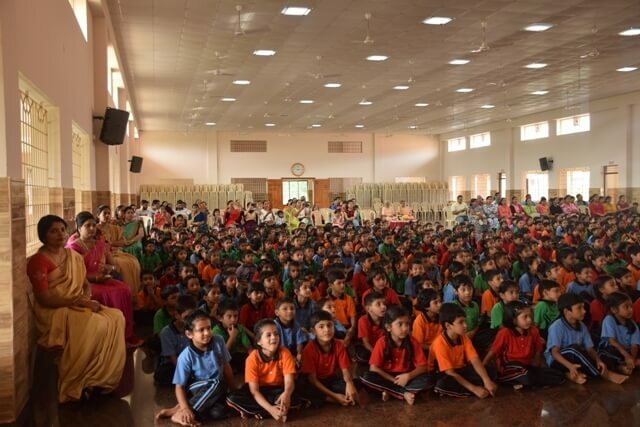 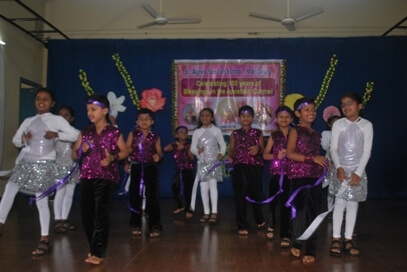 On 14th July, the Students of grade 3A and 3B gave a stellar performance. 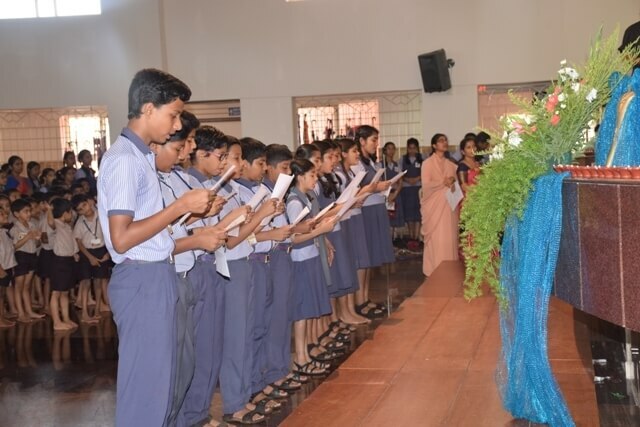 This programme commenced with a befitting prayer service. 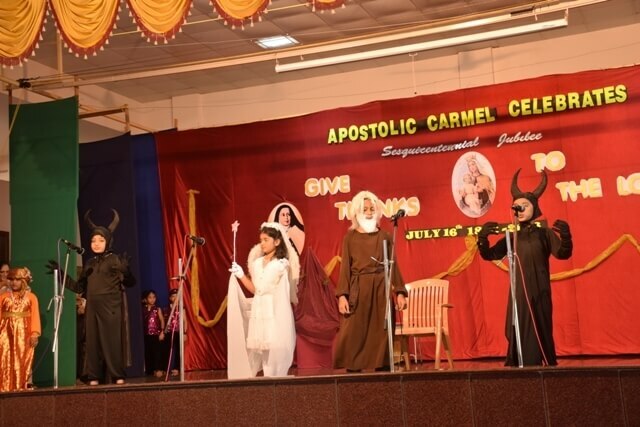 Heaps of talent was exhibited through a meaningful skit in which manifestation of the power of prayer, faith and submission to God’s will was showcased. 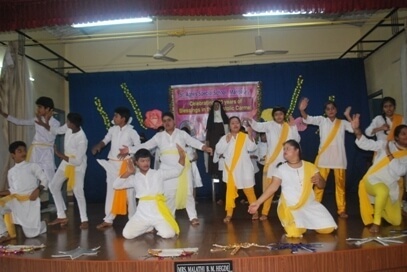 The dances and songs which were fused in the skit received an overwhelming applause. 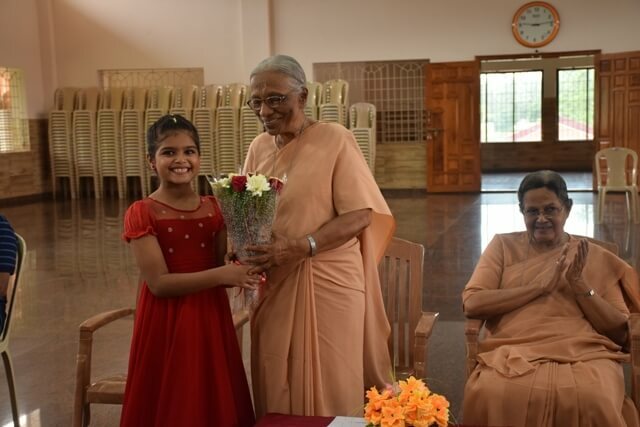 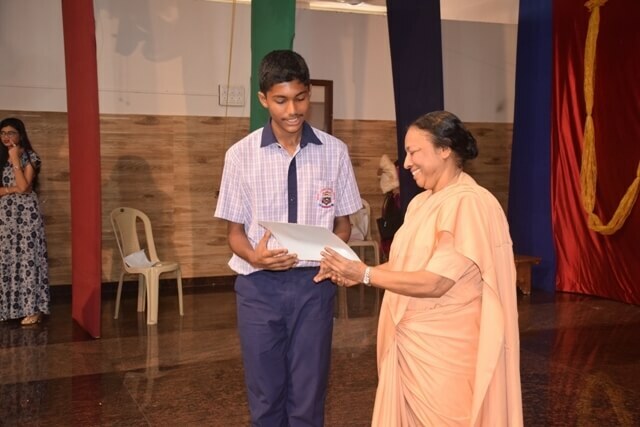 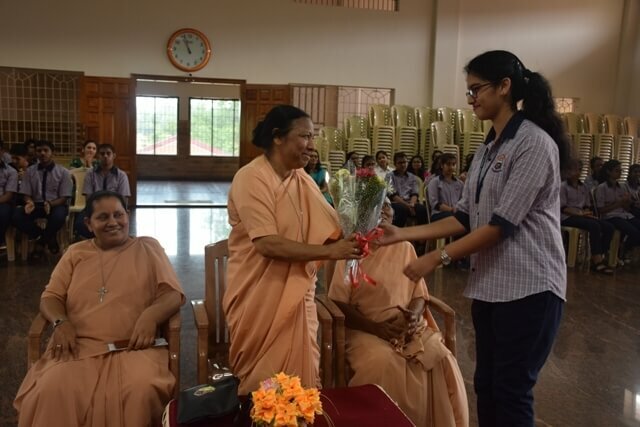 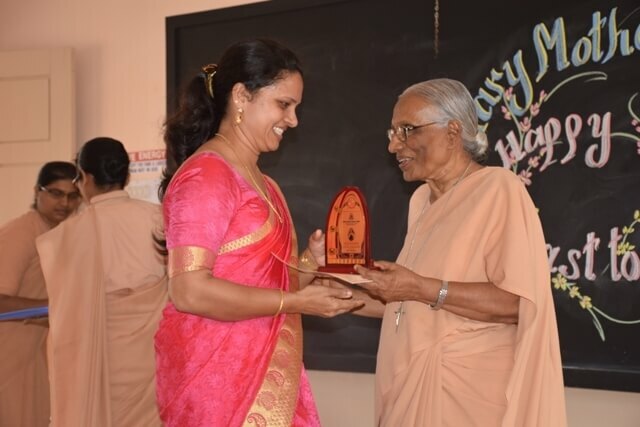 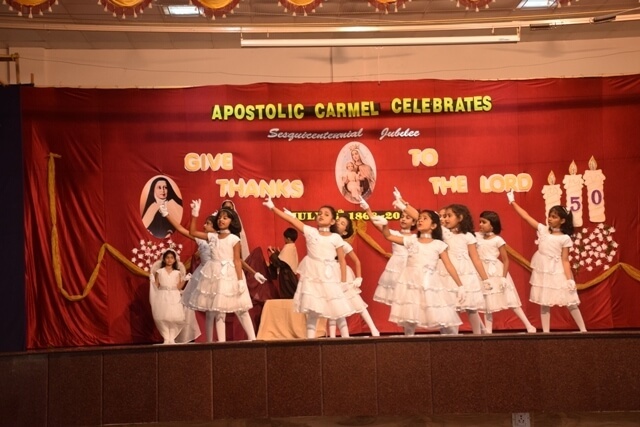 The Chief Guest of the day Sr. Carissima acknowledged, appreciated and applauded all the performers, the staff for their sense of belongingness and the parents for their presence which was a proof of their love for their children. 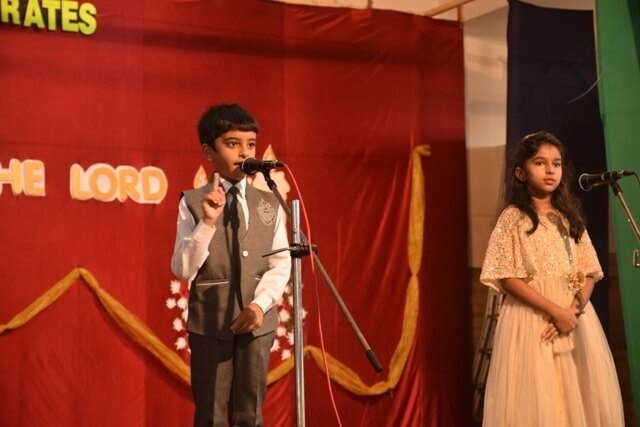 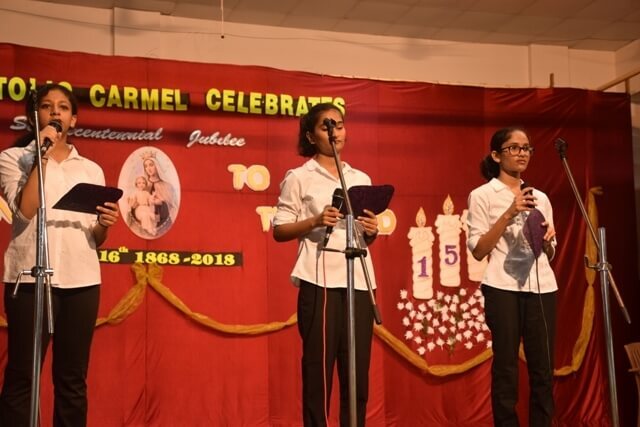 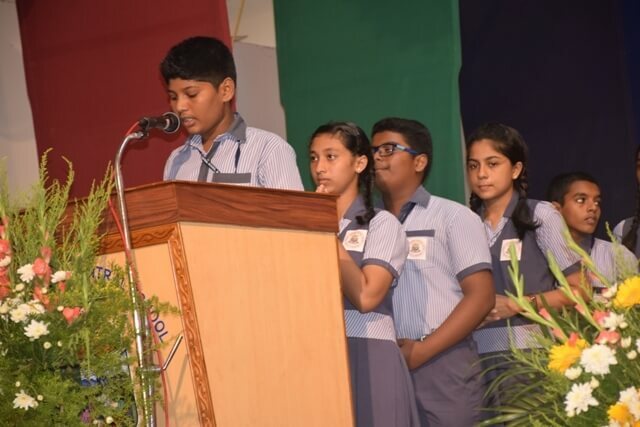 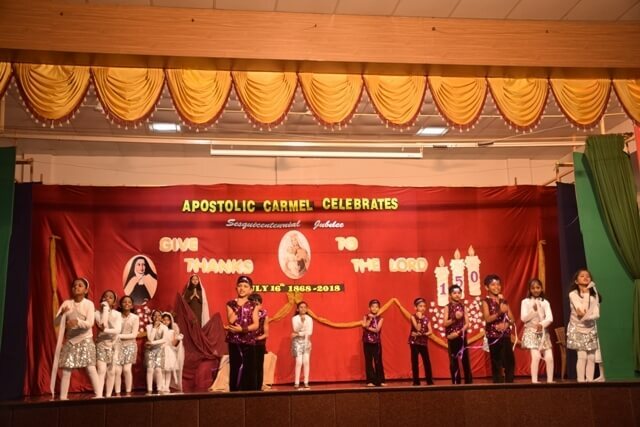 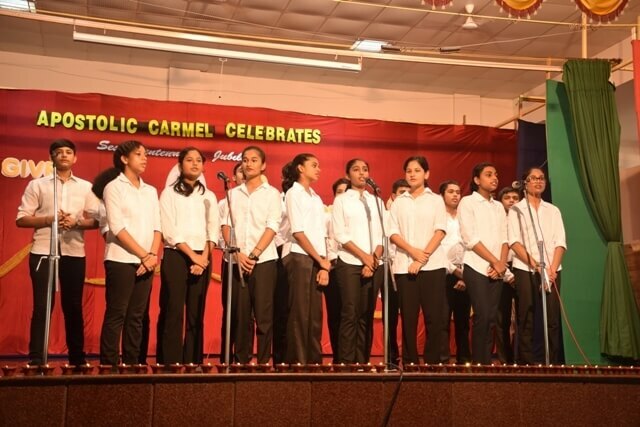 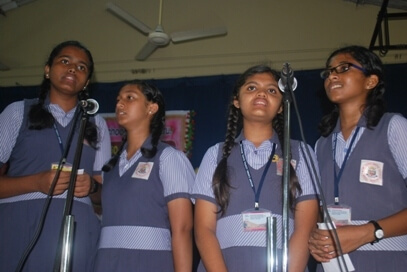 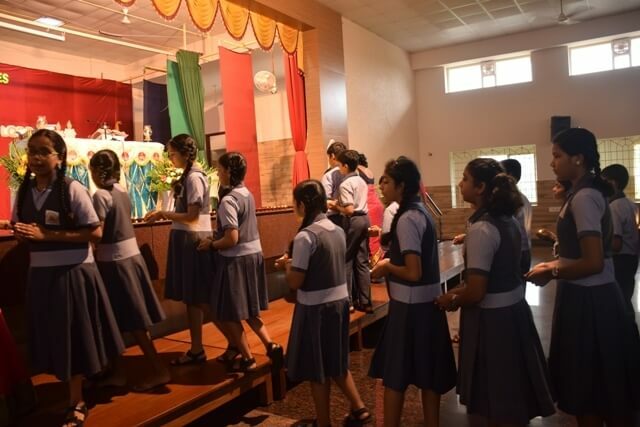 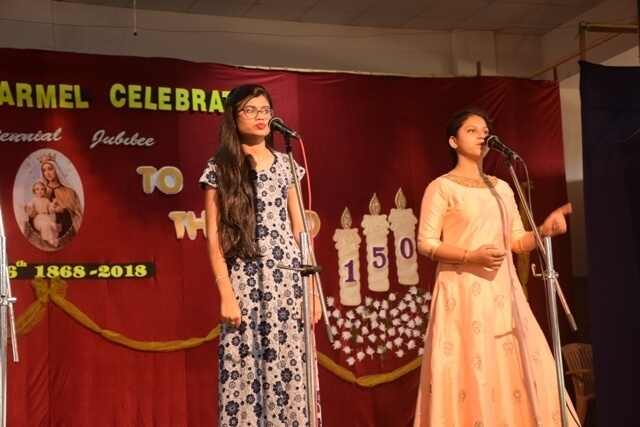 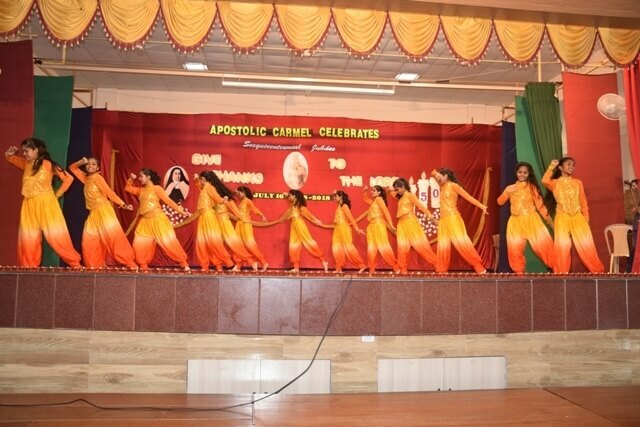 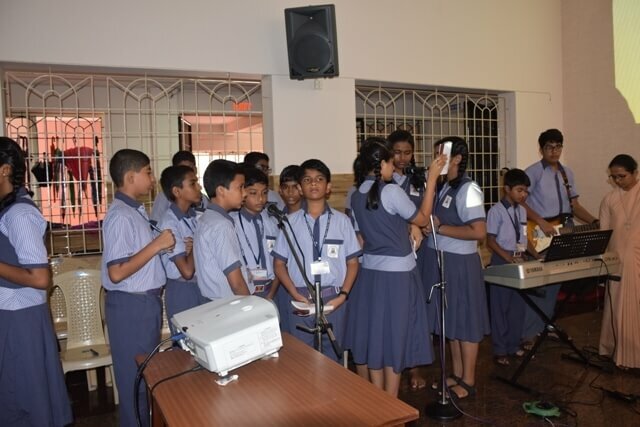 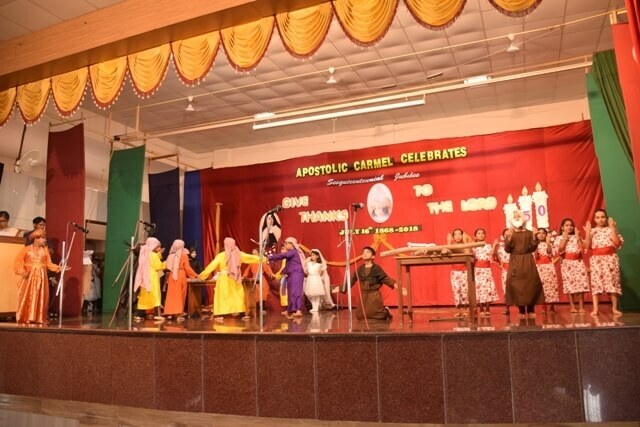 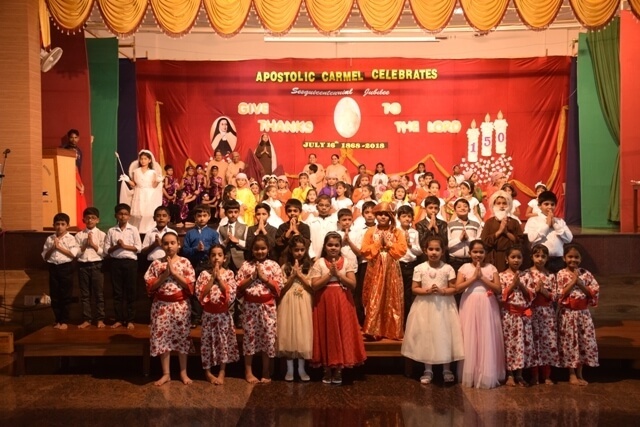 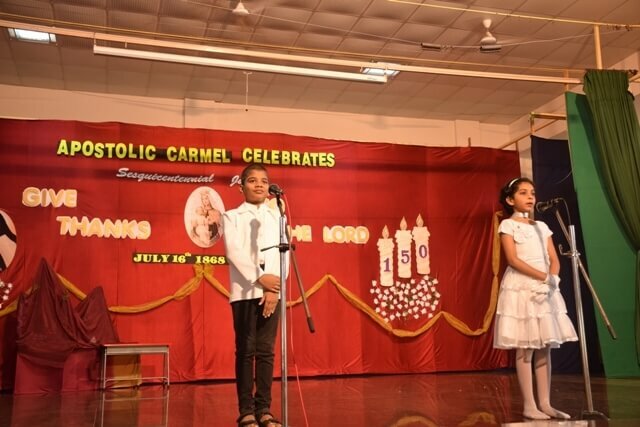 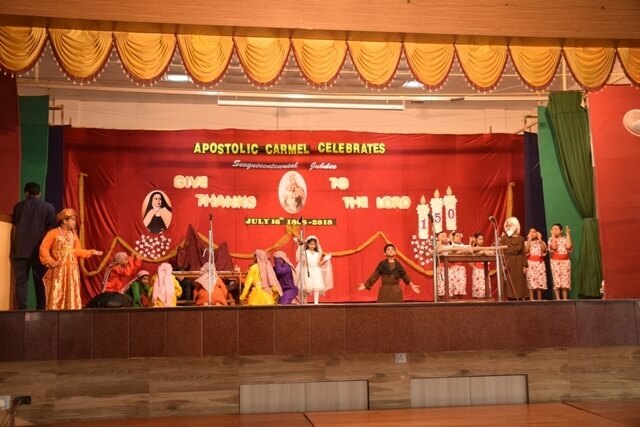 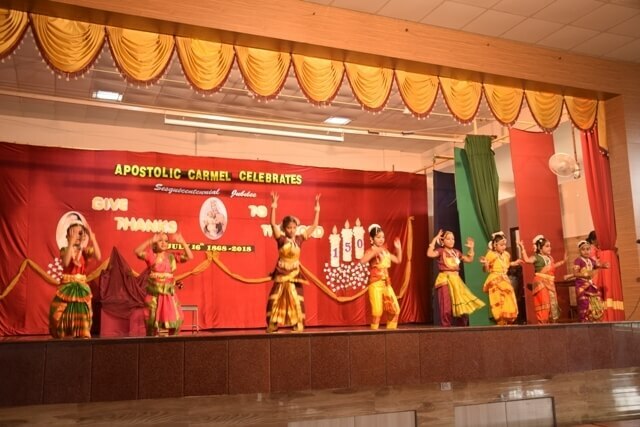 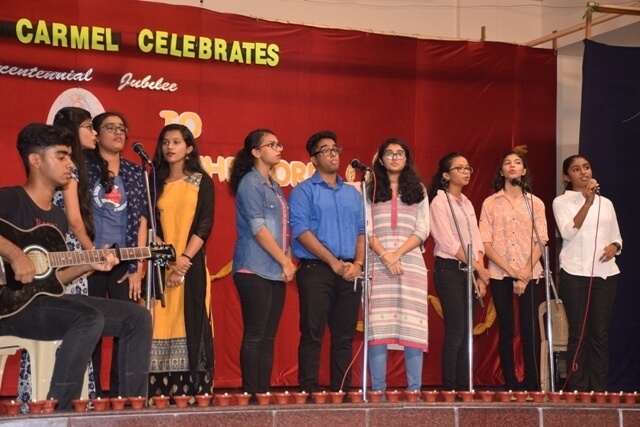 The students of class 10 then shed light on the history of this great day, the Foundation Day (1868 – 2018) highlighting the vision and mission of the Apostolic Carmel through song and a short skit. 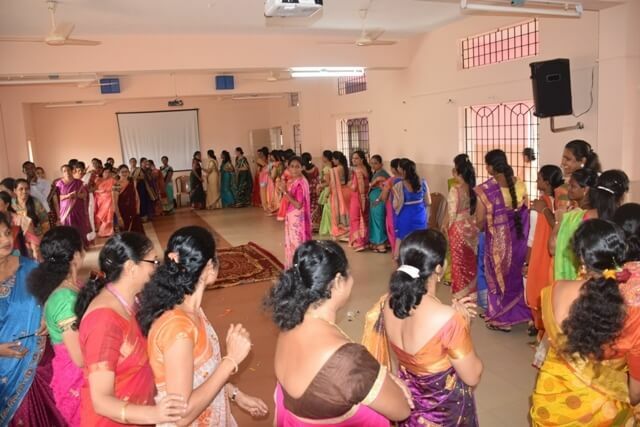 The joy of the celebration was expressed by a floor-tapping dance. 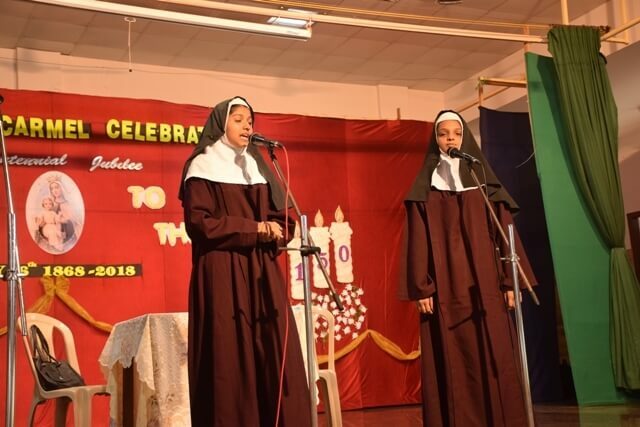 An educative skit by class XII with a hint of humour was enacted on social media. 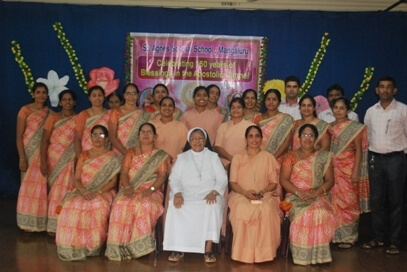 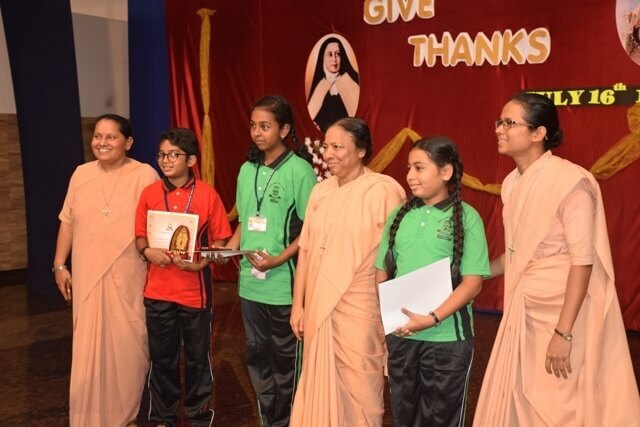 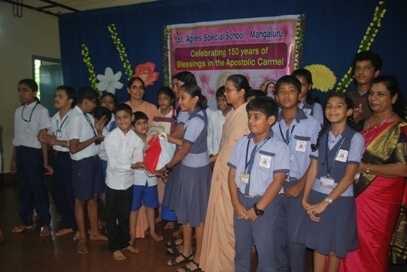 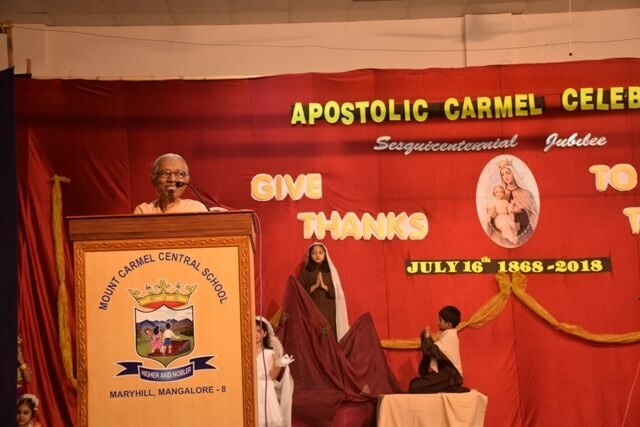 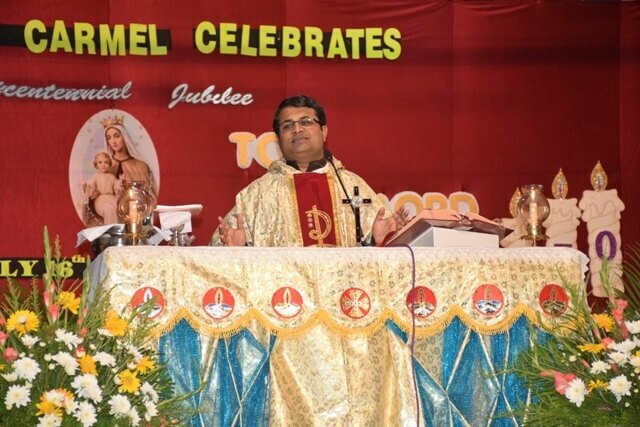 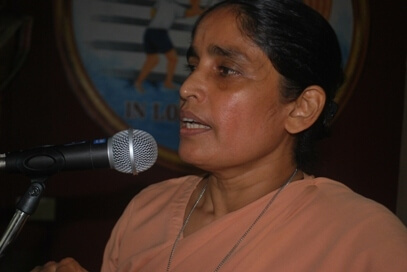 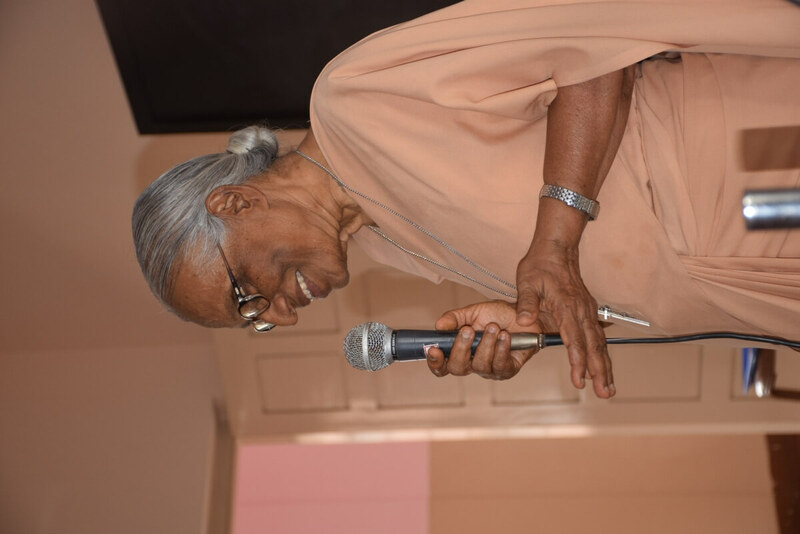 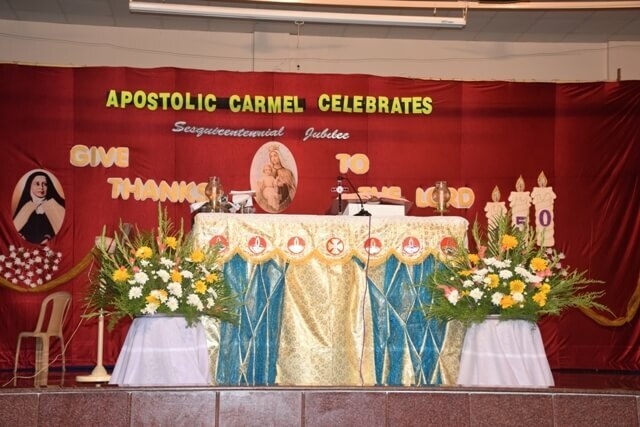 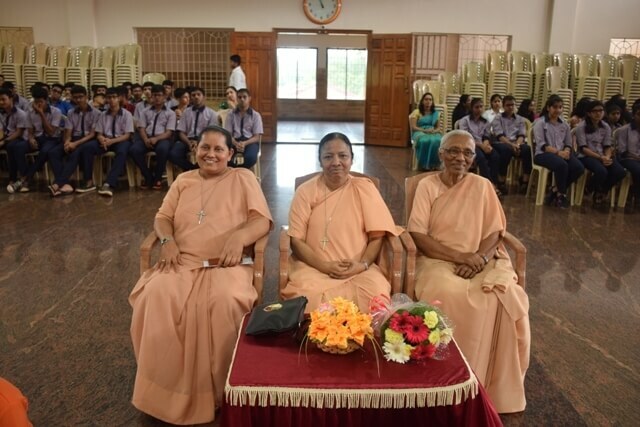 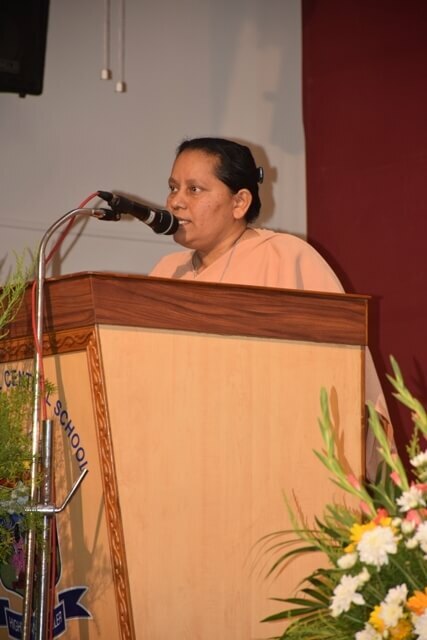 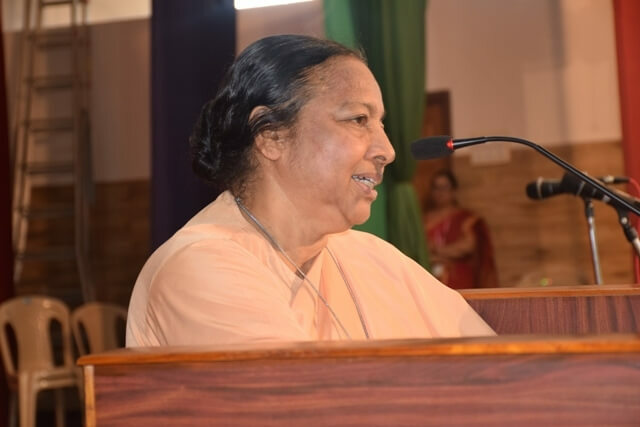 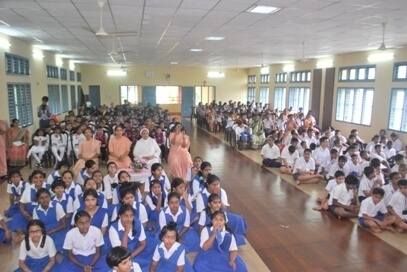 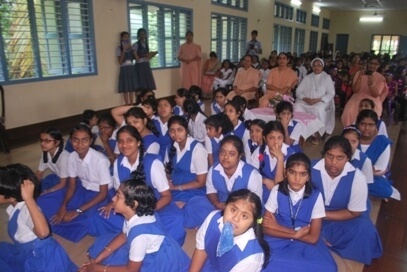 The Chief Guest Sr. Josline Joseph A.C. addressed the gathering and highlighted the connect we have with each other as children of one God and as apostolic Carmelites. 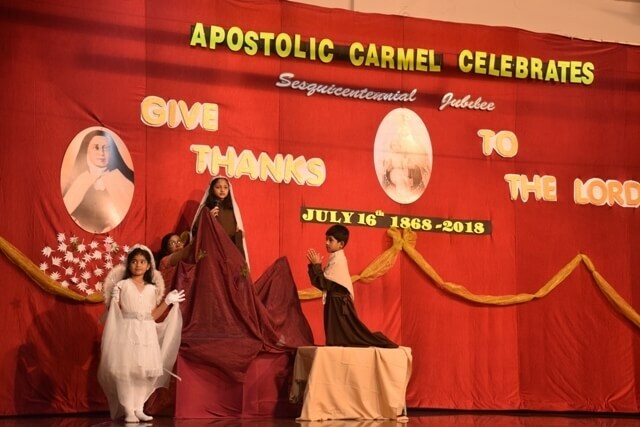 She awarded the winners of the quiz on Mother Veronica, conducted as one of the activity of the sesquicentennial celebration. 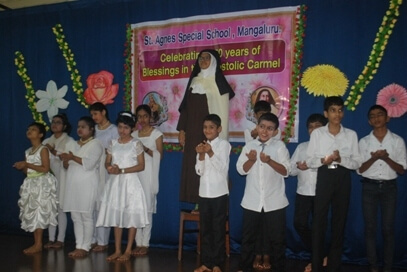 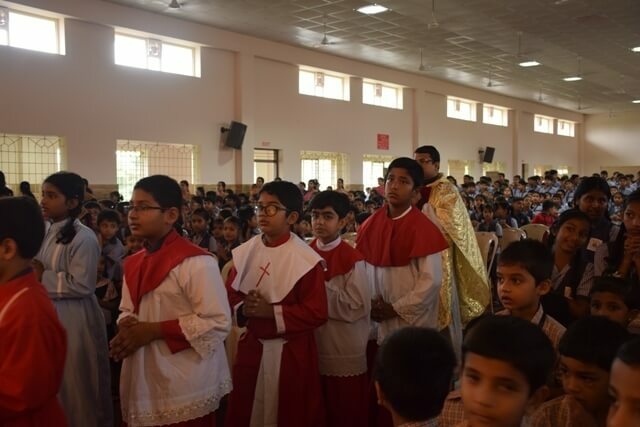 It was indeed a great day for all at MCCS, as we celebrated our Patroness’s day. 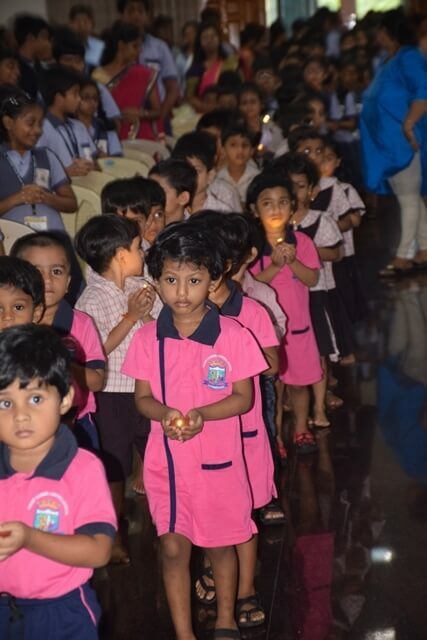 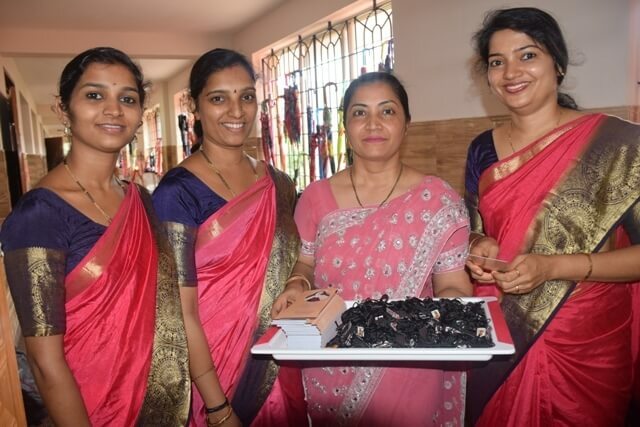 The joy was doubled when students shared the sweets and staff during the get together with games, fun, dance which culminated with lunch together.